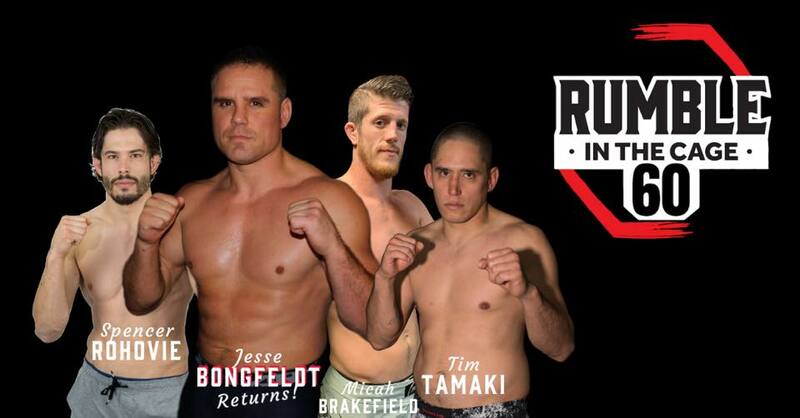 Rumble in the Cage 60 went down last night (Nov. 24, 2018) from inside the Servus Soccer Centre in Lethbridge, Alberta. In the main event, Spencer Rohovie returned to action and battled Jeremy Henry in a Lightweight bout. The co-main event pitted Tim Tamaki against Delane LaMere.